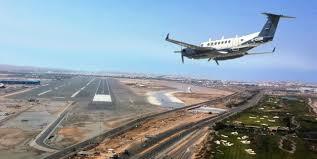 Air traffic has witnessed a tremendous change and fast growth in recent years. As a result, a continuous management and improvement of existing systems has to be done in an effort of avoiding congestion (Brooker, 2002). Application of new systems has to be done ensuring they support ground controllers and do not increase the workload. New systems aimed at enhancing the decision-making process in airports have been proposed to be implemented as the future of Air Traffic Control. Systems and procedures are intended for providing control, routing, execution and movement as the basic functions. The XPR tool, for example, is well known for the capability of planning and routing rules (Stratton, 1974). In the routing phase, a particular route is established for each aircraft, and it is accompanied by the planning phase that determines the start and end time of the routing path. Some essential features of the XPR tool include but are not limited to a detailed apron model that is the subject of this research. Aprons are areas defined on an aerodrome that are intended for services such as loading and offloading passengers and cargo. The ATC does not supervise the apron area. During heavy traffic, apron management services are provided. The study provides a refined description of the apron model and how it works. Concepts and operations related to the taxiway and apron management process will be evaluated in detail. This will be synthesized using a detailed operational description (DOD) that aims at refining and clarifying the high-level mode of performance of aprons (Brooker, 2002). Specific features such as the time to get off-block or on the block will be evaluated. The model described in this study will further evaluate and determine the mean grounds speeds that are mainly reported in regulations. In addition, the paths from the stands to the apron will be determined. During the evaluation time, safety and data security concerns will be the issues of concern in the evaluation process. To understand the functionality of the apron model, a review will be carried out that objectively outlines the architecture of an apron model. This will increase understanding on how the aircraft systems work, their control and how they influence the stability of air travel. A shortcoming of the current systems will be compared with the proposed model. To achieve a solid ground for the performance of the model, a simulation approach will be carried out that outlines the different performance metrics of the system (Stratton, 1974). The single aircraft model will be considered for purposes of research in this study. The different parameters that influence the travel time in this model such as the stand applicable, the runaway in use and the category wake of the aircraft will be considered and synthesized in detail. Airplane conflicts will also be determined, and the use of mathematical models will enhance the credibility of the research. Real flight timetables will be analyzed, and the results compared. The result will influence the conclusion and recommendation section on how Airport Apron and Taxiway control systems can be implemented to enhance the efficiency of the airport from offloading to reducing congestion with minimum control and supervision. In addition, the influence regarding the decision of the system in airports will be enhanced. Brooker, P. 2002. Future Air Traffic Management: Quantitative En Route Safety Assessment Part 2 – New Approaches. J. Navigation, 55(03). Stratton, A. 1974. Safety and Air Navigation. J. Navigation, 27(04), p.407.